[Kurt's] been long gone and we’re still at it. I’m thankful for that," Buzz Osborne said. Movies mean as much as music to Melvins leader Buzz Osborne. "A Walk With Love & Death," the Melvins latest album, is named after his favorite John Huston film, which shares the same moniker. The singer-songwriter-guitarist also approaches his craft just like the late, iconic director. “John Huston would make his movie, watch it, and then walk away from it,” Osborne said while calling from Detroit. Much like Huston, Osborne doesn’t pander. He makes his art for himself. “I can't write a song with the audience in mind," Osborne said. "It just doesn't work for me. I know a lot of musicians do that. For The Melvins, writing a song is like writing a jingle. I don't write jingles." “A Walk With Love & Death” is a double album, which is as rare these days as humility is at music award shows. EPs with four or five songs are commonplace. "I don't care about what anybody else is doing," Osborne said. "We serve the music. We didn't intend to make a double album. It just happened." The first nine songs, which are subtitled ‘death,’ are darker, sludgy Melvinesque tunes. The latter material, which is filed under ‘love,’ is a bit lighter and perhaps has been influenced by bassist Jeffrey McDonald, who played with the under-heralded power-pop act Redd Kross for most of his lengthy career before joining the Melvins in 2016. I've been asked at times if I wish I could have traded places with him. Do people expect me to say, 'Yes, I wish I were more famous and rich and dead.' Kurt's dead. It's horrible. 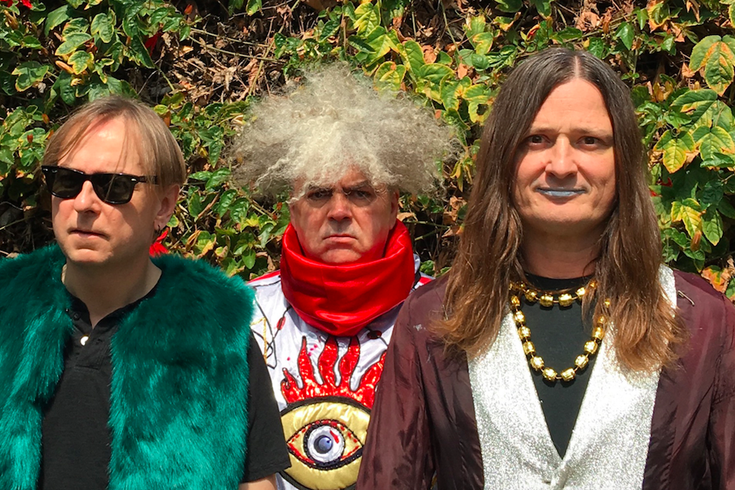 I would never trade places with a dead guy..."
Even though the Melvins, which will perform Friday, Aug. 4, at Union Transfer, have 30 albums from which to draw, it's not difficult for Osborne to put a set list together. "That's the least of my issues on the road," he said. "A third of the set is always early material. Two-thirds of the set is from the last 10 years...I love that we have so much to choose from. Not everybody is so fortunate. The great thing for us is that we don't have any big hits. There is no song that we have to play. That's kind of liberating. We just play what we want to play. It's kind of like how it is when we make albums. We don't think about anybody but ourselves." The Melvins, which formed in Aberdeen 30 years ago, were one of the most influential Pacific Northwest acts during the late 80s. Late Nirvana singer-songwriter Kurt Cobain idolized Osborne. Who knows what Cobain would have written and recorded if he survived? The Melvins appear Friday, Aug. 4 at Union Transfer, 1026 Spring Garden St. Philadelphia. Spotlights will open.Tickets are $20. Show time is 8:30 p.m. For more information, call 215-232-2100 or click here.